Today, The Next Einstein Forum (NEF) Global Gathering 2016 starts in Dakar, Senegal. The three-day NEF Global Gathering will showcase often underreported scientific progress in Africa, holding up the NEF Fellows as examples of the exceptional scientific potential and progress across Africa. There will be many ministers, scientists, politicians, even presidents from (apparently all fifty-four) African countries – and also many international guests – joining the NEF, with the goal to discuss about scientific innovations, collaborations and solutions in Africa! 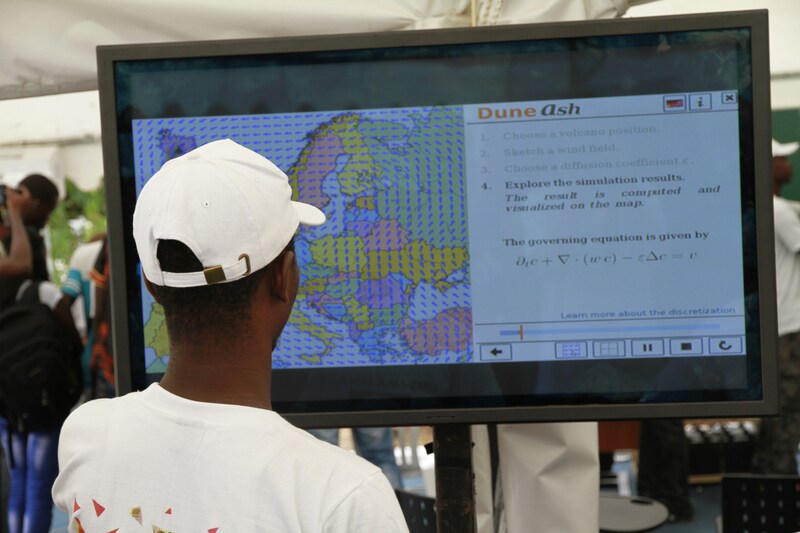 IMAGINARY is partner of NEF and presents an interactive exhibition at the Forum in Senegal. With the support of UNESCO, we showcase all winning modules of the open source Mathematics of Planet Earth (MPE) exhibition modules competition in 2013 accompanied by classics from the exhibition IMAGINARY - through the eyes of mathematics, all together seven interactive stations and a beautiful mathematical image gallery. 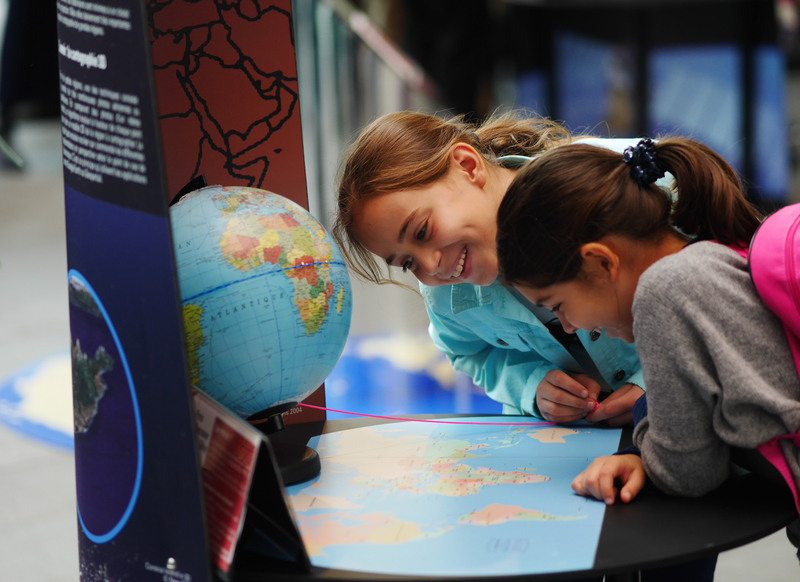 The MPE project aims to raise awareness of global changes endangering our planet and showcases ways in which the mathematical sciences can be useful in tackling our world’s problems. For the first time, we will also present a new “device” called shoutr.boxx, which is a system to stream information (also video, audio and interactive programs) to the smart phones of the exhibition visitors. This system is provided by our partner Shoutrlabs. The NEF Global Gathering 2016 hosts the launch of a new international competition for MPE exhibition modules. This second international competition, jointly organized by IMAGINARY, UNESCO International Basic Sciences Programme (IBSP), the International Mathematical Union (IMU) and the International Commission on Mathematical Instruction (ICMI), will enrich the exhibition with new modules, aiming to address challenges in Africa and other regions of the world. The deadline for submissions is June 30, 2017. The first, second and third prize will be awarded 5000, 2000 and 1000 USD respectively. There is a special prize for topics with a direct relation to or impact on the African continent (2000 USD). … but there is a formula that produces an algebraic surface shaped like a heart. Check the article on IMAGINARY’s Valentine special on the New York Times!!! “TROP ICSU: A Global Climate Change Education Project” aims to integrate relevant education and science communication modules in the education system to help future citizens across the globe in improving their understanding of the science of climate change and in developing necessary skills to mitigate its impact. Join the second IMAGINARY conference on open and collaborative communication of mathematical research! From December 5 to 8, 2018 in Mondevideo, Uruguay. Register before November 15th !